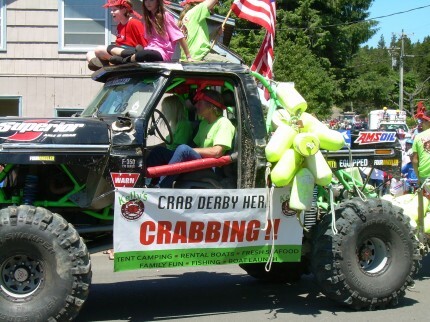 Manzanita (and the entire Oregon Coast) had awesome weather for the 4th.Â Parades, parties and fireworks begin the official start of the summer of 2011.Â Aren’t we lucky to be a part of it all. 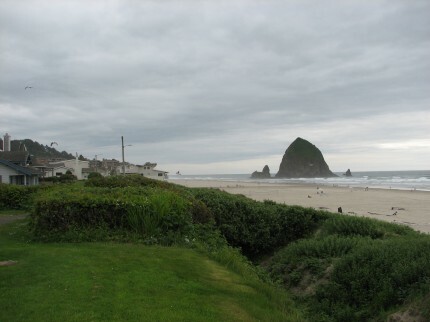 Yahoo rated Cannon Beach one of America’s best beach towns.Â Four miles of Pacific Northwest grandeur, with towering rocks, tidal pools, forests and waterfalls, all connected by soft stretches of sand. 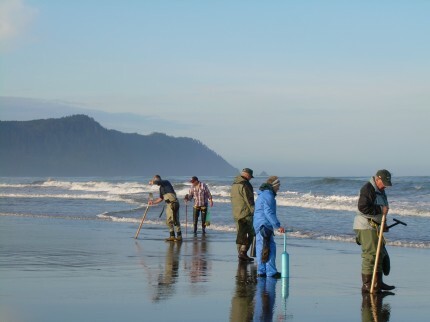 Perfect day to go clamming.Â Great minus tides this week.Â We began about 6 am this morning in Gearhart.Â Lots of walking and everyone got their limit plus lots of perfect sanddollars.Â It doesn’t get much better than that. 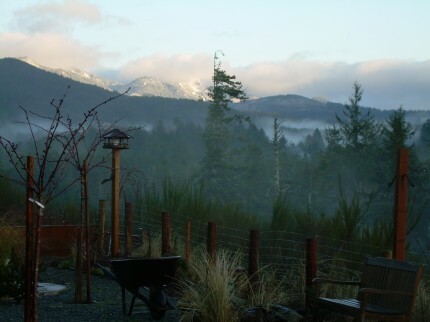 Dusting of snow in the mountains, but nothing at the beach. 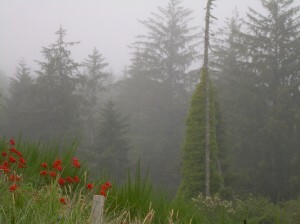 The rain and mist enveloping the spruces.Â Typical of a winter day on theÂ Oregon Coast.